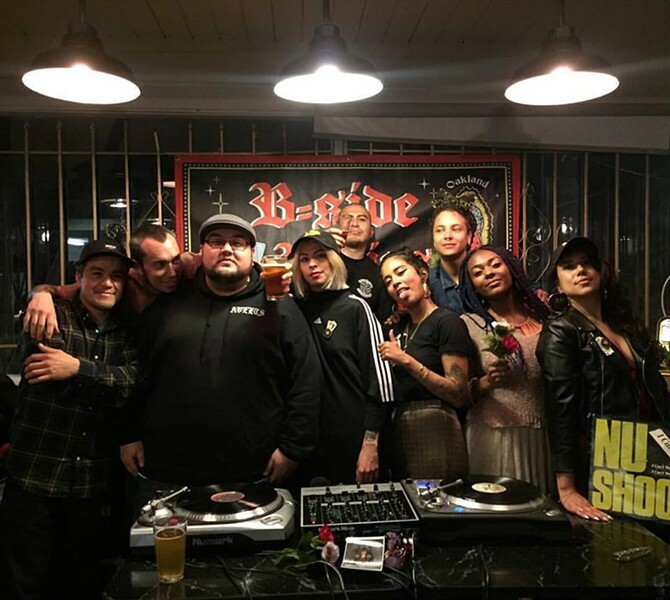 Suavecito Souldies crew (left) and B-Side Brujas (right). Rene Lopez and Cameron Thompson are Suavecito Souldies, a monthly party at The Golden Bull bar in Oakland. Sure, there is no lack of bars in The Town, especially bars where hip-hop and Top 40 are blasting. But there is something special about bars where lowrider oldies, sweet soul, and northern soul take center stage. The sound of rare 45s just has a way of making you want to hit the dance floor. The Suavecito Souldies party is turning three this weekend. Never been? Here’s your opportunity to learn about oldies, and why it is important to keep it alive for the future generations. Friday, June 2, 9pm, no cover, 21+, 412 14th Street, Oakland, TheGoldenBullBar.com.